Take I-80/I-94 east to I-65 south. Take I-65 to US30 east (exit 253; Merrillville). Go east on US30 63 miles to US31 just beyond Plymouth. Turn right (south) and go 42 miles to US24. Turn left (east; Peru) and go 14 miles to SR15 in Wabash. Turn right (south) and go 22 miles to IWU on the south side of in Marion. SR-15 borders IWU’s campus on its north side (E 38th Street) and again on its east side (S Adams Street). At the first stop light on 38th Street, turn right (south) onto S Washington Street. Go to the 39th block of Washington Street and our inn in Marion, Indiana is on the Northwest corner – 3902 South Washington Street. Take I-69 south to SR-22 / US-35 (exit 59). Turn right (west) at the bottom of the off ramp and go through Gas City on US-35 / SR-22. Turn right (north) onto SR-15 (just beyond Gas City; just across the river) and go 2 miles to IWU. SR-15 borders IWU’s campus on its east side (S Adams Street) and again on its north side (E 38th Street). IWU’s main east entrance will be located on the left (west) side of Adams Street (one block beyond 45th Street). Turn left (west) onto University Boulevard and turn left again at the stop sign / t-intersection 100 yards ahead. Continue on University Blvd, around the Phillippe Performing Arts Center to the next stop sign / t-intersection. Turn left (south) onto S Nebraska Street, and then immediately right (west) onto E 44th Street. Go to Washington Street and turn right (north). Travel a short distance to the 39th block of Washington Street and we are on the Northwest corner – 3902 South Washington Street. Welcome to our inn in Marion, Indiana – go in the front door. Take SR-22 / US-35 east to SR-37. Turn left (north) and go Marion. At the first stop light, SR-37 ends at the intersection of SR-9. Continue straight ahead 4 blocks on S Washington Street to IWU’s main west entrance‚ which is University Boulevard (just beyond 44th Street). 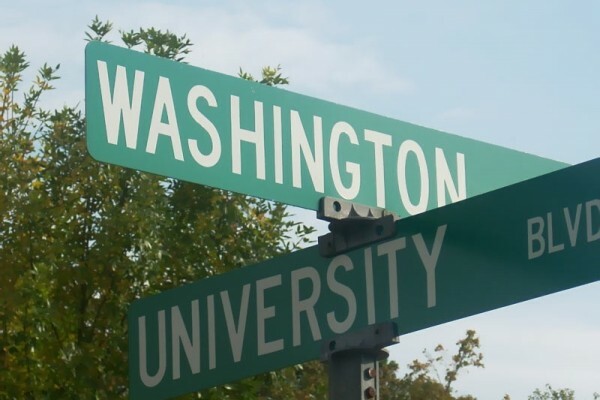 Turn right (east) and go to Washington Street. Turn right and travel a short distance to the 39th block of Washington Street and we are on the Northwest corner – 3902 South Washington Street. Welcome to College Inn – go in the front door. Take I-465 around Indianapolis to the northeast corner of the city. I-69 begins at this location and heads north toward Fort Wayne. Take I-69 to SR-22 (exit 59). Turn left (west) at the bottom of the off ramp and go through Gas City on SR-22. Turn right (north) onto SR-15 (just beyond Gas City; just across the river) and go 2 miles to IWU. SR-15 borders IWU’s campus on its east side (S Adams Street) and again on its north side (E 38th Street). IWU’s main east entrance will be located on the left (west) side of Adams Street (one block beyond 45th Street). Turn left (west) onto University Boulevard and turn left again at the stop sign / t-intersection 100 yards ahead. Continue on University Blvd‚ around the Phillippe Performing Arts Center to the next stop sign / t-intersection. Turn left (south) onto S Nebraska Street‚ and then immediately right (west) onto E 44th Street. Go to the second stop sign (Harmon Street). Turn right (north) onto Washington Street and then travel a short distance to the 39th block of Washington Street and we are on the Northwest corner – 3902 South Washington Street. Welcome to our inn in Marion, Indiana – go in the front door. Follow I-465 around Indianapolis to the northeast corner of the city and take SR-37 and I-69 north at this exit. (You will now stay on SR-37 until it ends‚ which is several blocks south of IWU’s campus in Marion.) Go north to exit 5 (Noblesville)‚ which is where SR-37 peels off to the right and crosses over I-69. Take SR-37 approx. 50 miles to Marion. At the first stop light (intersection of SR-9) on the south edge of Marion SR-37 will end. Continue straight ahead 4 blocks on S Washington Street to IWU’s main west entrance‚ which is University Boulevard (just beyond 44th Street). Turn right (north) onto Washington Street and then travel a short distance to the 39th block of Washington Street and we are on the Northwest corner – 3902 South Washington Street. Welcome to College – go in the front door. Click here to go to Google Maps!